Cascioli records for Decca and Deutsche Grammophon. Gianluca Cascioli studied composition at the Conservatorio Giuseppe Verdi di Torino with Alessandro Ruo Rui and later with Alberto Colla. 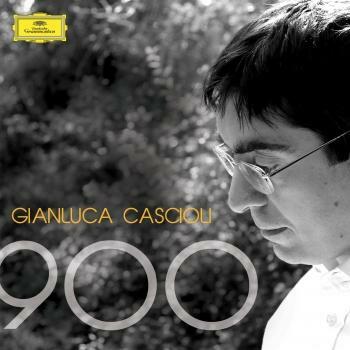 Gianluca Cascioli’s career as pianist was launched with his victory at the 1994 Umberto Micheli International Piano Competition before a jury that included Luciano Berio, Elliott Carter, Maurizio Pollini, and Charles Rosen. He has since appeared in the major music centres of Europe, North America, and Japan and has performed with such prestigious ensembles as the Berlin Philharmonic, the Boston Symphony, the Camerata Salzburg, the Chamber Orchestra of Europe, the Chicago Symphony, the English Chamber Orchestra, the London Philharmonic, the Philharmonia Orchestra, the Los Angeles Philharmonic, the Mahler Jugendorchester, the Mahler Chamber Orchestra, the Royal Philharmonic, the La Scala Philharmonic, the New York Philharmonic, the Wiener Symphoniker, the Wiener Philharmoniker. Conductors with whom he has collaborated include Claudio Abbado, Vladimir Ashkenazy, Myung-Whun Chung, Valery Gergiev, Daniel Harding, Riccardo Muti, Lorin Maazel, Zubin Metha, Yuri Temirkanov e Mstislav Rostropovich, among others. 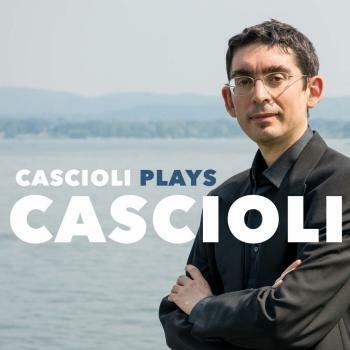 Cascioli has performed chamber music with Mstislav Rostropovich, Yuri Bashmet, Maxim Vengerov, Frank Peter Zimmermann, Clemens Hagen, Sabine Meyer. Cascioli records for Decca and Deutsche Grammophon. His most recent release includes Beethoven’s Violin Sonatas together with violinist Sayaka Shoji for Deutsche Grammophon, and Mozart’s Piano Sonatas (DGG 4810866). Gianluca Cascioli studied composition at the Conservatorio Giuseppe Verdi di Torino with Alessandro Ruo Rui and later with Alberto Colla. 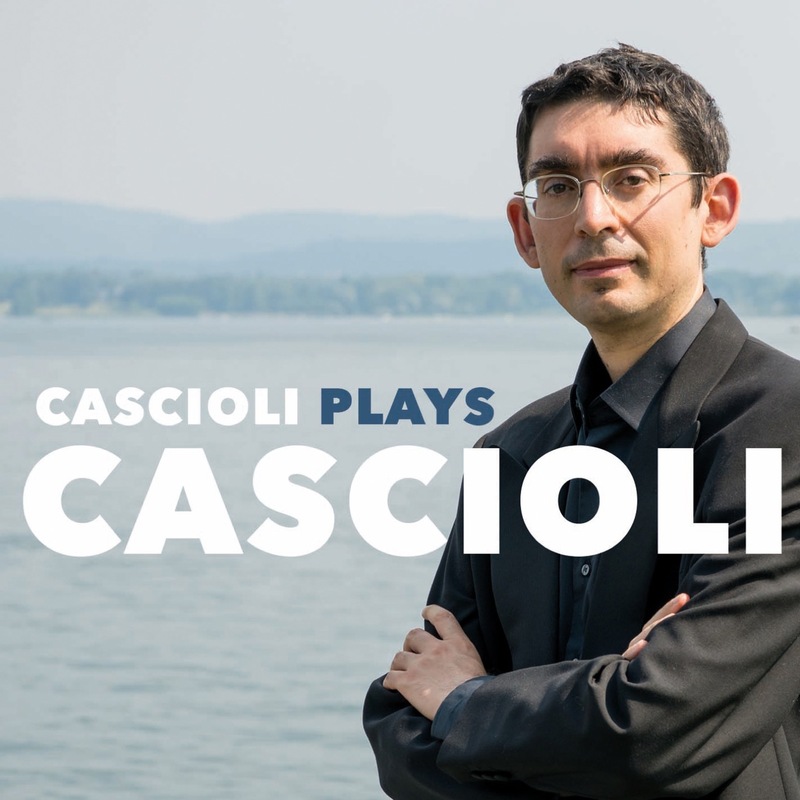 Cascioli’ s compositions have been performed in important venues such as the Musikhalle (Hamburg), Wigmore Hall (London), and Palau de la Musica (Barcellona). In 2009 Cascioli was awarded 2nd Prize at the 27th International I.C.O.M.S. Competition for Composers with his first Trio for violin, cello and piano. In 2010 Cascioli was awarded 1st Prize at the 28th International I.C.O.M.S. Competition for Composers with his Tre pezzi lirici per violino e pianoforte. 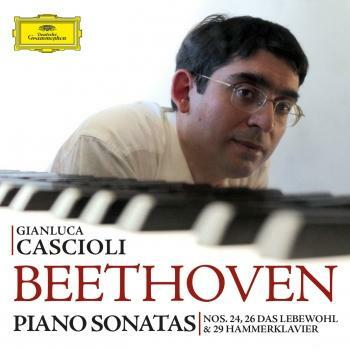 In 2010 Cascioli’s Fantasy for piano and orchestra was awarded the Mozart-Prize from the Jury of the 16th International Competition “2 Agosto”, with Ennio Morricone president. In 2012 Cascioli’s orchestral work Trasfigurazione was awarded 1st Prize at the 1st Francesco Agnello Composition Competition. In 2013 Trasfigurazione was performed 13 times throughout Italy by different orchestras such as Orchestra del Teatro La Fenice conducted by Diego Matheuz, Orchestra del Teatro Regio di Torino conducted by Gianandrea Noseda, Orchestra Haydn di Bolzano e Trento conducted by Günther Pichler, Orchestra del Maggio Musicale Fiorentino conducted by Tito Ceccherini. In 2014, Cascioli’ s Trio for clarinet, cello and piano was awarded 1st prize at the XXVI Moncalieri European Composition Competition. 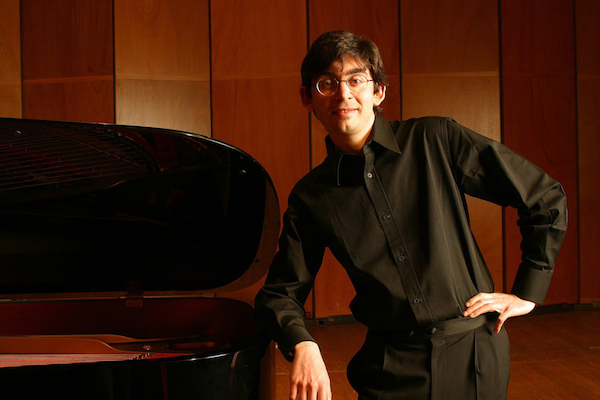 In 2015 Cascioli wins the second edition of the Francesco Agnello Composition Competition (with Ennio Morricone, president of the jury) with his Second Piano Trio.